Harry (Apex, NC, United States) on 30 December 2015 in Business & Industry and Portfolio. This place had a lot of junk and a few cars in various states of restoration. 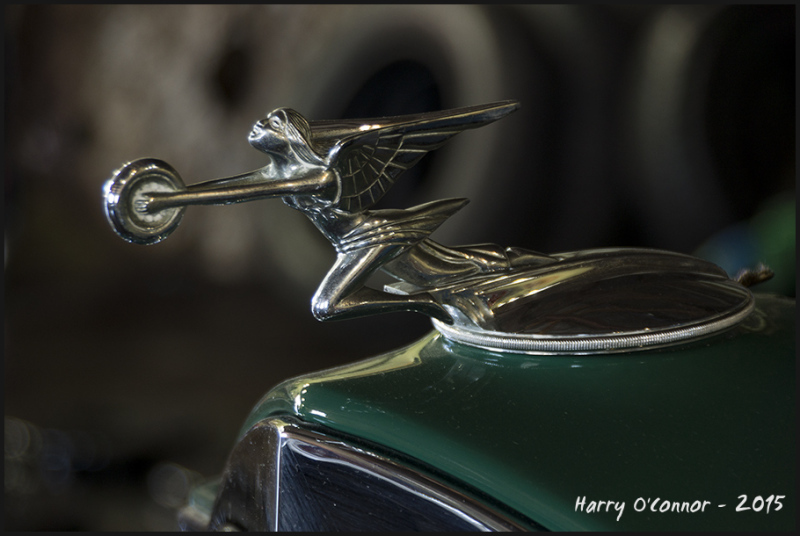 This Packard was almost fully restored. I believe the background was some tires leaning against a wall, hence the donut bokeh. Welcome to all. I began blogging Retained-Images in 2004 at My-Expressions.com. It is gone now. Ah, what a sense of pride this feels to carry . .
Splendid colors and superb framing. Beautiful ! That's got to be worth something. A lovely image. classic beauty and design in a perfect photo! The white rim of the tires give the hood ornament an aura or halo effect. Nicely done. It is an impressive hood ornament. My friend had one of those Packards with the straight eight engine. It was a fine automobile. Un très bel écusson de marque.